By their nature, mussels are the couch potatoes of bivalve world. Sedentary and sluggish, they muddle through life in silt sand, and are slow to elude danger. Among the predators imperiling the mussels in Swift and Middle creeks are humans. Humans that build houses and pave driveways and drive on new roads, like the 27-mile, six-lane Complete 540 tollway proposed for southern Wake County. The US Fish and Wildlife Service last week determined that the toll road will not jeopardize the tenuous existence of two mussels, whose habitat includes Swift and Middle creeks: the threatened Yellow Lance Mussel and the endangered Dwarf Wedgemussel. The $2.2 billion project would cross both creeks and route through their watersheds. The toll road is controversial not only because of its environmental impacts to rivers, streams and wetlands, which DOT will be required to mitigate — but the project is also displacing 200 households and several businesses. To prevent their extinction and yet allow the road to be built, USFWS wrote in its Biological Opinion, the state transportation department must follow the proper protocols. These include building 50-foot riparian buffers, diverting hazardous waste away from the streams, keeping bridge posts out of the creeks, partially funding a breeding facility, and relocating survivors and their heirs to more amenable places in their natural habitats. To encourage more mussels, USFWS also directed NC DOT to pay $2 million to upgrade an NC State University propagation facility at Yates Mill Park and to allocate another $3 million to the state Wildlife Resources Commission for a Non-Game Aquatic Project Fund. These funds are supposed to help compensate for the human harm to the mussels. Pollution, excessive silt, riverbank changes and extreme weather — humans are directly responsible for all of these changes — jeopardize them. Since there are so few mussels, they are loners who live far from one another. If they were people, they would live way out in the country, with no immediate neighbors, and thus, would have little chance to meet someone and start a family. Mussels also depend on host fish, including various darters, sculpins and shiners on which to lay their eggs. 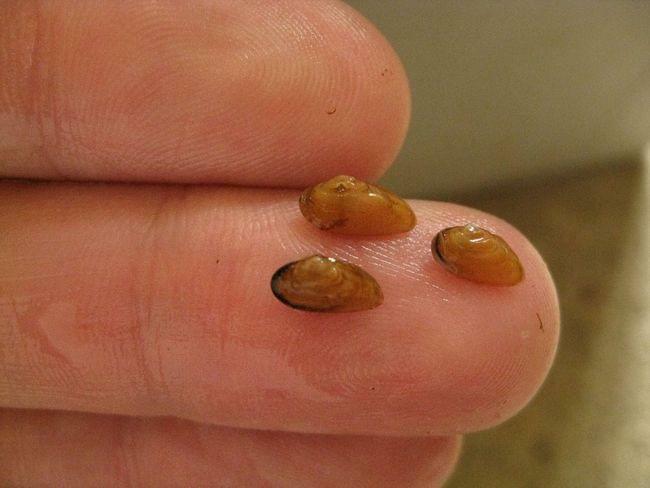 If these fish are crushed by construction equipment or harassed by excessive noise, as the USFWS document mentions, then the mussel eggs no longer have a free ride. But since fish swim faster than mussels (and who doesn’t), USFWS predicts they can escape the pile drivers and construction crews. The Yellow Lance Mussel, just designated as a threatened species earlier this month, faces similar challenges to the Dwarf Wedgemussel. For one, like people, the Yellow Lance Mussel needs clean water. They seem to be faring better in the Tar River, where 45 to 53 of them recently have been spotted. But the Neuse River watershed, vulnerable to myriad insults — hog farms, urbanization, the likely construction of the Atlantic Coast Pipeline — has proven more hostile. From 2014 – 2016, only one lone Yellow Lance Mussel was found there. We keep disrupting our wildlife habitats and by doing so we are slowly bringing our world to its demise. How sad.